Everybody ought to be familiar with the concept of marginal utility, which is the utility/use/satisfaction that adding one more unit brings. For example, suppose you like ice cream cones. Then the marginal utility of the first cone is high. The second is a bit lower, but once the belly fills up and the blood sugar starts spiking, the marginal utility drops to zero or even negative. Marginal utility is a very important quality to consider. It underlies the entire philosophy of when enough is enough. For instance, I could have kept working and earned even more money, but the utility of that money was far lower than the money and cash flow I already had, especially considering that I wasn’t going to use it anyway. For me my main consideration when buying stuff is not how much it costs — I can buy pretty much everything a normal consumer buys — but how much of a hassle it is to own it. Marginal tax rates work on a similar principle. They determine how much of the last dollar you earn you get to keep. What is really interesting is that tax rates are different depending on how the money is earned. Since I no longer have a salary we dropped into the 15% tax bracket on earned income. First, this means that qualified dividends which is my dominant source of income is taxed at 0%. That’s right, I don’t pay taxes on that. Note that this is due to the Bush tax cuts of 2001/03 which are scheduled to run out in 2011 if they are not extended(*). Hence $1000 in dividends means $1000 in my pocket. Did you notice, I don’t need to pay taxes. Outrageous, right? (*) Naturally I am very interested in whether they will be extended on not. Compare that to my freelance work. Since DW’s work puts us in the 15% bracket, this means that it is taxed at 15%. I reason thus, since DW is salaried and thus can’t change her income whereas I am free to work as much as I please. However, I also pay social security taxes which comes to 15.3%. I get to deduct half of those pretax, which means I get a deduction of 15.3%/2*15% = 1.15%, a mere pittance, but thanks anyway even though it is phrased to sound better than it is. Hence my marginal tax rate on freelance work is 15+15.3-1.15 = 29.15%. I consider social security payments to be useless from my perspective. There is no reserve as the government is borrowing from the trust to fund general operations, like wars, legendary $800 toilet seats, free roads, various Mickey Mouse projects, etc. Besides, the system is scheduled to go broke in real terms, so I just see this a normal earned income tax with a euphemistic name. Naturally, compared to having money working for you, working for money under the small business taxation really has to be worth it. However, frequently it is more worthwhile to work for myself (0% tax on replacing my own water pump myself) rather than working for someone else to get money to pay someone else to work for me. No need to complicate things, right? This does not suggest being completely self-sufficient. Marginally speaking, some skills are just not worth learning e.g. things you only do once or which needs serious tools. However, other things are better done yourself. In my political opinion, taxing work is dumb(*). Tax is always incentive to do or use less. The communist experiment has failed. For anything which is annoying (most work) we can expect people to do less if they still get the same utility. In other words, when it comes to work, people ain’t stupid. I would much rather see a national sales tax or even better, a national value added tax (which makes it harder to cheat), replace all sorts of income taxes. This would provide incentives to work more and use less, in other words, make the country wealthy. The current tax structure is defined to make people consume more. Therefore the current tax structure is highly profitable and thus I don’t foresee it changing due to the lobbyist nature of government (what we have is somewhat of an indirect plutocracy). It’s too bad. (*) And tax payers are kept dumb by taxing income as it is earned rather than demanded a lump sum once a year. Salaried people never see the social security tax, nor do the see the socialized healthcare tax for the older population. 63 users responded in " Marginal earnings, when working is no longer worth it "
Speaking of taxes – I did a retired couple’s return this week – they made over $100k in investment income and paid NO TAX. This is the kind of person the government needs to figure out how to tax. They did it legally, btw. How? 1) Their taxable income was less than $68k for a married couple, thus their dividends (about 50k) were taxes at 0%. 2) The rest was in muni bonds, which of course are tax-free. Not even the dreaded AMT took a bite! @George – you get the point. Total income tax rate based on AGI is about 2.5%. I’m pretty inspired by some of these tax stories. I think for someone looking to do ERE, becoming a tax guru has some very serious advantages. It’s funny, you are against taxing income saying that the great communist experiment is over which has absolutely nothing to do with communism, while taking full advantage of the current system by reducing your income and getting paid on dividends with a 0% tax rate. Meanwhile you say a sales tax would be better. And how is that Jacob? When you’ll just buy your stuff second hand or on the black market and avoid paying your share of the services the rest of us subsidize for you? VAT? A VAT is nothing but a very high sales tax. Another regressive tax that would ride on the people who already pay enough. Just like how roads benefit non road users, the internet benefits non-internet users too. The government is borrowing data farms just like google and apple do. Many other nations are starting to develop the technology of the Internet, and hopefully many more internet jobs will be needed/created here in America, as long as we control those datafarms powered by our generous (for now) power plants. And yes your 30 Terabyte computer machine can be labeled as a Datafarm, and leased out to China users at .03cents/kb 😉 better learn how to increase that bandwidth! Amazing! and think, all i have to do is personally live below my means (aka expenses under $12k/year or less to give $8k margin) and persuade my family to do the same. Just takes small moves for everyone, then a giant “hell with it” leap. My pre-first step, reducing my expenses as low as i needs/few high quality wants can. My pre-second step, having a decent emergency fund at all times. My first step, eliminating 6.8% fix rated student loans. My second step, paying off 2.9% car loan. My forth step, working/saving/investing/sacrificing 6 or less years of my life for that Savings of $200k+ to be invested in tax freed dividends or long term capital gains. 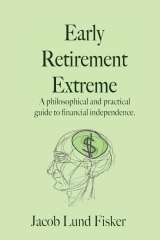 My fifth step, enjoy early retirment extreme for the rest of my life, occasionally patenting some ideas and writing a few books/apps online and offline from my hobbies. Live where-ever in the universe i wish too, and my fullest priorities will be to spend TIME with family, friends, and self; and not money with loss of time with enslavement to someone else. @FreeUrChains – 10% yield is a tad optimistic. You can presume 3% real [inflation-adjusted] total return in the long run. I plan on retiring soon (not that early) and will minimize my taxes in similar fashion. Unfortunately, a big problem is that many citizens are not paying income taxes, and from their point of view, any government “largesse” is free. I favor a flat tax with few or no deductions. Studies have shown that a rate of between 15%-20% will work. The common rejoinder is “but they are paying FICA and HI taxes!”. At least for FICA, the benefits are based on the earnings on which taxes are paid, and the SS formula strongly favors the lower earners. They get a benefit based on their taxable earnings and it is higher (as a % of pay) than for higher earners. A VAT is regressive and generally not a good idea unless its done very carefully as it can really choke consumer spending, even the healthy kind.